The NBA Conference Finals are heating up as we enter Game 4 in both the East and West. Tonight, the Eastern Conference takes centre stage and the trash talking has become very public. It’s fair to say that Indiana Pacers’ Lance Stephenson has done A LOT of talking during this series with the Miami Heat. From wanting to flare Dwayne Wade’s knee up to talking trash about LeBron James, Stephenson isn’t shying away, as he was asked about his comments about James earlier this morning at shoot around. Just in case you missed it, he said that LeBron’s trash talk was a sign of weakness. Stephenson’s team-mate, Paul George thinks that Lance should be careful. “He’s doing it to the wrong guy. He’s barking up the wrong tree. LeBron is the same way, he feeds off that kind of energy,” George said. Evgeny Pashutin is reportedly going to be fired by Lokomotiv Kuban after the Krasnodar-based side let a 2-0 quarter-final lead against CSKA Moscow slip in the VTB League. Last season’s Eurocup winners were eliminated on the final day of the Euroleague Top 16. Giannis Antetokounmpo to play for Greece? Greek media is reporting that Giannis Antetokounmpo will play for Greece at the upcoming FIBA World Cup of Basketball. Antetokounmpo will also compete in the NBA Summer League in Las Vegas before travelling to meet up with the Greek national side just weeks before the tournament begins. 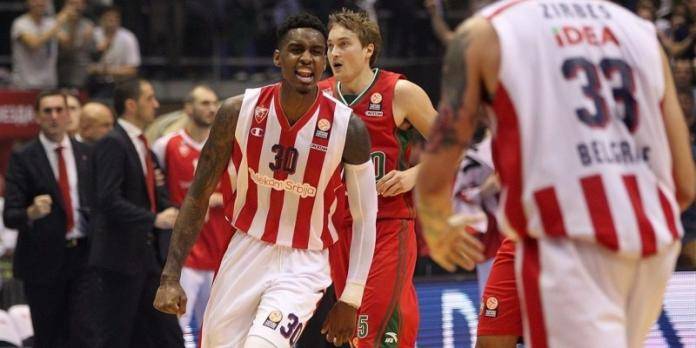 Quincy Miller to return for Baskonia clash?